My daughter and I are running the rally together for the first time. Our team name is Team Oo-De-Lally. My daughter loves Robin Hood and has wanted to marry him since she was a little girl! I’m sure you will hear our “Team Oo-De-Lally” cry throughout the day. If you see us, please yell “Oo-De-Lally” and we will yell it back! We are looking forward to meeting new friends and seeing you all this year at the Gum Ball rally!!!! Anything listed on the park maps as an attraction is fair game for inclusion in the Rally. I cannot confirm nor deny the inclusion of any attraction in the Rally. May the Gumballs Be with You...Always. My daughter and I are running the rally together for the first time. Our team name is Team Oo-De-Lally. My daughter loves Robin Hood and has wanted to marry him since she was a little girl! I’m sure you will hear our “Team Oo-De-Lally” cry throughout the day. If you see us, please yell "Oo-De-Lally" and we’ll yell it back! We are looking forward to meeting new friends and seeing you all at this year’s Gum Ball Rally!!! Have fun everyone!!! IT'S RALLY TIME!!!!!!!! Michael & Kirstin "From the Land Behind the Eyes"
The Princesses are BACK! But it looks like we may have tripped and took a de-tour on the way, down a very long rabbit hole it seems like! I wonder what we'll be like on the other side! We can't wait to see what wonderful (hopefully!) things will be on the other end of this hole! So excited for another Gumball Rally! This will be my sixth rally and the third with my amazing fiancee. The past two years we have placed 13th and 4th, so we know what it takes to win and are in prime position to take home the trophy this year! This year our team will be called Painting the Gumballs Red. Can't wait to see everyone on Saturday! Years after being humiliated by Alice playing a game of croquet, the Queen of Hearts lost all her credibility as ruler of Wonderland. After all, it was Alice who teased, tormented, and annoyed the Queen in front of all her royal subjects. Seeing how Alice was unafraid to stand up against the Queen, others realized they too shouldn't bend over backwards to such a deranged ruler and begun to undermine her authority as Queen. The Queen of Hearts has since then lived in despair. Not one to enjoy seeing his wife living in such disarray, the King of Hearts decided he must do something. Knowing that the Queen loves "competition," the King has heard whispers of the ultimate competition that occurs once a year outside the world of Wonderland. It's called the Gumball Rally and it's played at the most magical kingdom of them all... Disneyland! Figuring that if the Queen of Hearts enters the Gumball Rally and wins the competition, not only would Wonderland respect her authority once again, she would also be able to gain the respect of the people of Disneyland and rule an even bigger and more magical kingdom! As most of us are aware, the Queen of Hearts usually uses her authority to "gain a slight edge" in every competition she partakes in. With her current inability to rule, it is now up to the King of Hearts to ensure the Queen wins the Gumball Rally. The King assembled a special team of card soldiers to enter the rally. Understanding the severity of the situation, the King could only entrust his most royal cards to this task, the A (Andrew) and K (Kari). 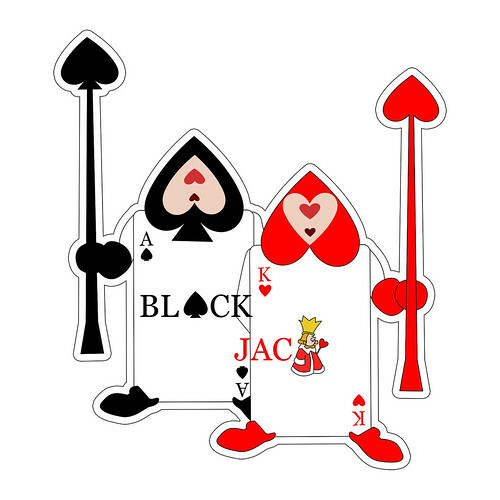 He named these royal cards team Blackjack! Their mission? Ensure the Queen of Hearts wins at all cost! This includes riding all attractions, finding all answers, and maybe devising ways to slow the other competition down as well. Will team Blackjack succeed? Of course! Because, well if they don't, it may be "off with their heads" the next time they return to Wonderland! We are the Slythy Toves and we will gyre and gimble our way through the Gumball Rally. We are first timers to the rally and will take first place if it weren't for our rookie mistakes. But we hope beginners luck prevails. From their email: We are the Curse Reversers! As theatrical-loving ladies inspired by Disney’s “Into the Woods,” we have our cows as white as milk, our capes as red as blood, our hair as yellow as corn, and our slippers as pure as gold as we set out on our Disneyland adventure to find the last item to break the curse: the 2018 Gumball Rally trophy. Here’s our amazing logo! It was designed by our team member, Erin. Fans are especially fond of her gold Beyoncé heels. So for our team name we decided to go with The Fantasmic 4! Fantasmic has a very special place in our hearts for everyone in our group, so we decided to use that as our theme. We also chose our outfits and the characters in the logo based on our favorite/most memorable parts of the show. Oh, and the old Fantasmic is all our favorites, lol. We are the Free Range Flamingos! We are Free Range (and organically gown) Flamingo sisters from Wonderland. We decided to take a break from playing croquet with the Queen of Hearts and partake in the Gumball Rally! We are very excited and looking forward to Saturday! For Team Chew-Becca We’re Emma & Madi, a team of teen Star Wars geek girls. This is our first Gumball Rally, but watch out. The force is with us, and we might just shift to hyperdrive and win first place. Especially with Chewie at the helm. Arrrngg! Hey Everyone! My best friend and I are back for our 2nd rally! We are super excited to join in the fun again this year! Last year our team name was a number (2319). This year we are team “5 o'clock Escape to Wonderland.” This year our team name and logo has a little bit of special meaning behind it, as on January 2nd, I found out I have thyroid cancer. When I was 12 (I am now 24), I beat Leukemia, so this is actually a secondary cancer for me. I will be having surgery on my neck to remove my thyroid a little more than a week after the rally. In Alice in Wonderland, Alice’s adventures down the rabbit hole allows her to escape her real world reality. We have a similar idea behind our team name as the rally is going to be a nice escape for me to have a whole bunch of fun and totally forget that I have thyroid cancer and the worries I have had associated with it. My teammate and best friend made our logo which features a train moving through wonderland. The train also features the ribbons for Leukemia (orange) and thyroid cancer (purple/pink) awareness. We also wanted to pay a little homage to our first team name (which was a number) so we added 5 o’clock, the time on the white rabbits clock. Seems the white rabbit was running late again as it appears he missed the 5 o’clock Escape to Wonderland. This year we also are making shirts for the first time and we feel more prepared than we did last year. Last year we placed in the top 75, so this year we are at least hoping to beat that if not place in the top 10! Wherever we place, we are sure to have more fun than Alice in Wonderland! We can’t wait to race with you all on Saturday and have a great time all around. Leota's Lackeys are revved up and raring to go Saturday!!! This is our first year. We are The Cheshire Chasers. We are a team of two competing in our first gumball rally! We have no clue what to expect, but are are excited to be participating! Since we are two short round people, we thought our team should be Tweedle Dee and Tweedle Dum related to go along with the Alice and Wonderland theme. We are "Tweedle Dum and Tweedle Dummerer"
We are a brother and sister team. It's our 3rd time racing and we never come close to winning....thus the name lol.